Milk braid rolls are soft, chewy and light. These serve as a perfect bread for your sandwich. Using the quality ingredients makes them better than store bought. 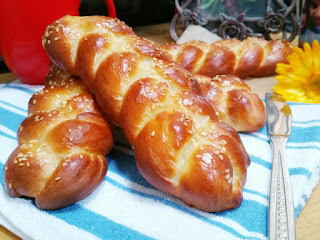 The amount of milk and butter used in them might sound a lot but trust me this is what makes them stand out to regular breads and the braids look so attractive that kids just hog on to them without a second thought. You can pair them up with soup and salad for a light dinner, or can be served for snacks in evening with dips.